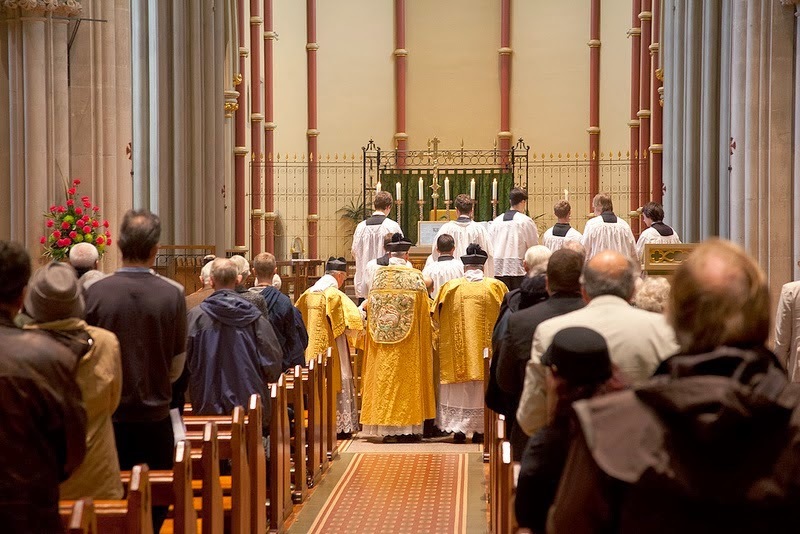 New Liturgical Movement: Scientific Evidence that Going to Mass Makes You Happier? 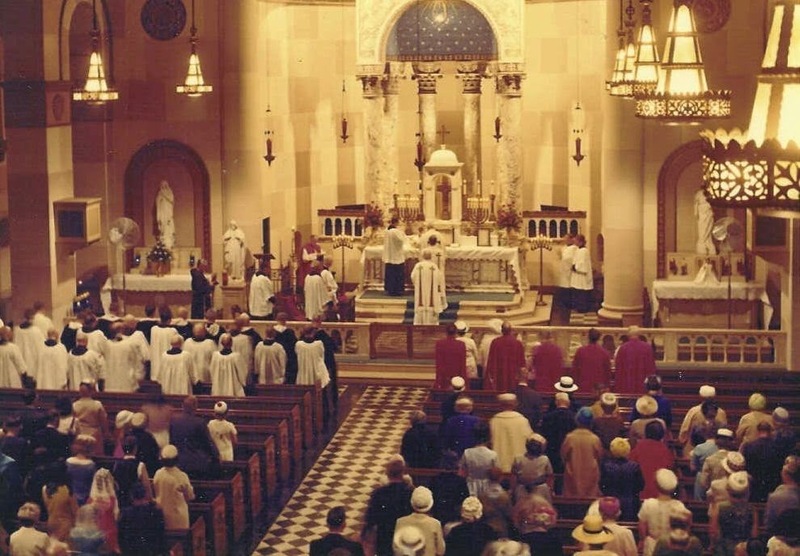 Scientific Evidence that Going to Mass Makes You Happier? The article, presumably reflecting thoughts of the scientists who made the study, goes on to the consideration of why people are happier if the go to services regularly, and the admission that they found it puzzling. 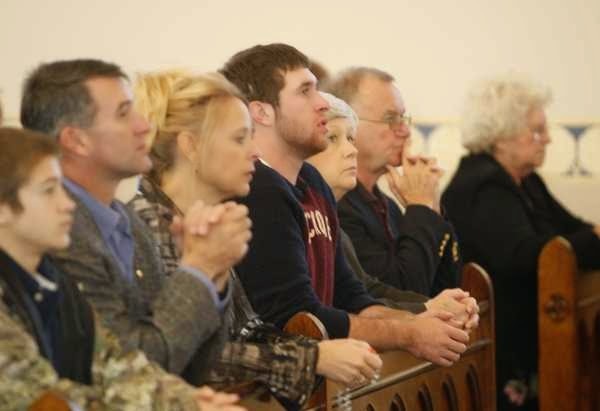 They hypothesized about whether or not it is the fact that those who attend religious services are more likely to be involved in the community, and so the additional social support makes people happier. But they then point out that that this doesn’t seem to be the reason because they found that those people with a similar level of community involvement reported lower levels of happiness if they did not attend religious services as well. I haven’t read the full study, only the newspaper article about it, so there may be aspects of this study missing, but based upon what I read, this is what is interesting to me about the analysis. There appears to be an assumption that the reasons must relate to the impact on human relationships only. There appears to be no consideration of the possible truth of what the religions themselves might have to say about why people are happier, or any other reason, based upon the idea that God exists. Always, it seems, it is assumed that He doesn’t, and the explanation must be psychological. There is an alternative hypothesis, probably the one the scientists would have been given if they had asked any one of the thousands whom they observed going to the religious ceremonies under consideration; namely, that there is some truth in what they believe about God. The religious ceremony is part of the expression of a relationship with God, and it is the flourishing of that relationship which causes greater happiness. For Catholics, I suggest, it should be no surprise that this is what the study showed (other things being equal) for the Church says that the worship of God is the “summit” of human life. In other words, the purpose of human existence, to which all other activities and goal ultimately conform if we want to be happy, is the worship of God. At first glance, this research is consistent with the idea. There may well be many other possible psychological reasons for the survey results, and the properly scientific approach is to consider each one and investigate it. Anyone who is genuinely interested in the search for truth would at least have to consider, in addition to those hypotheses that assume that there is a God, those that assume that there isn’t. The difficulty with the God-hypothesis, if I can call it that, is that it is beyond the realm of what natural science can investigate. As soon we enter into consideration of that which is “beyond the physical” (from Greek we use for this the term “metaphysical”), we are in the more narrowly considered field which we call philosophy today. (In the past natural science would have just been a subdivision of philosophy). This causes problems for many today. To acknowledge the possibility of a realm of existence beyond the physical challenges a dogma of the modern age - scientism. Scientism is a philosophical viewpoint held by many people in the West, which says that only that which can be proved by natural science is true. That is, if you can’t prove it scientifically, it isn’t true. This philosophical viewpoint is not in itself scientifically provable, it is just an assumption, and so contains within it the logical contradiction that disproves it. The other point that many, even scientists, do not know is that natural science can never prove the existence of God. Because of the underlying assumptions behind the scientific method - especially that it is investigating only those things that obey the natural order - natural science can neither prove nor disprove the existence of God who by definition is not bound by the natural order. It cannot speak on the subject at all. Science assumes that the whole universe conforms to this order and does not take into account any other form of existence. I for one am very glad that it did so, for this is part of what opened up the natural world to the great advances in science; and I enjoy the fruits of modern science in almost every area of my everyday life. Science, as we understand the term today, is a good thing. However, this will only be so provided that we are aware of the limitations that the assumptions that underlie the scientific method place on it's power as a tool for investigating truth. If you’re happy and you know it, clap your hands...or not, as the case may be!